I still have one weekend before leaving for Essen. I tend to give an insight on the games I worked on. 2013 was a really good year, because I like all of the games I worked on. Really. Luxury, I know. If you have any questions regarding the games ... feel free to ask! "Händler der Karibik" was the winner of a contest held by the Spiele Museum Wien. I even had the chance to play a prototype of the game several years ago. Since then a lot has changed. Alex Pfister (a friend of mine I worked with on two games already, a third coming 2014) did a great job capturing the Pirate feeling within 110 cards. Yes, it's luck-driven or better pressure-your-luck, but the game really mixes many mechanisms in a nice way. You still have meaningful decisions to make and under the "friendly" surface you'll find many "big-boardgame-aspects". Great thing about this game was that I had more or less complete freedom ... so if anything in the graphic design doesn't work, blame it on me. The EN rules should be online soon. Yes, quite unusual for Lookout, but Hanno really likes the game. Well, and I have to say, it's a nice filler. Beside that my son Benedikt really likes the game. Bunnies AND trains. Whats not to like about that? And I had the chance to draw a Robunny and a Ninja-Bunny . How cool is that!? The game is an easy dice game and – as I mentioned – a perfect filler or kid's game. Is it 18CarrotCarrot? Not sure ... is it fun? Yes. Well ... not just those two szenarios but another two (Britannia Bridge & Zugspitze) are packed in the expansion-deck for the German version of Snowdonia. And some new trains, too. So tons of "gameplay" for a little deck of 99 cards ... let's just hope that it's going to make it in time. It's really fun to see how Tony is expanding his gem game. And I nearly forgot: Dynamite! What I liked from the start was how you have to balance the workers on the game board ... do you want them on your plantation or at home (where they bring you money). 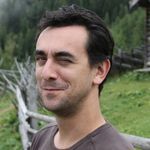 A great dilemma and unique twist for tile-laying-games. Yes, purple is THE new color! Even though there are no purple tiles in this expansion ... but somehow brownish borders. I didn't expect them to be in there. Well I didn't expect something like the borders at all! Ted really surprised me with this one. The graphic design is (hopefully) as clear as always and the illustrations by Ollin Timm really capture the scope of the game. 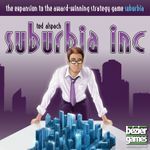 Working on Suburbia is quite interesting ... the basic layout is provided by Ted, the illus by Ollin ... all that's left for me to do is to put them together and draw a purple-dressed Bruce-Banner-Wannabe on the cover. OK, this one has quite a history. Honestly I think I never worked that long on a game. I don't mean the hours but the overall timeframe. 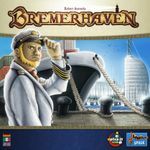 Bremerhaven was planned to be released earlier but we encountered some difficulties regarding the overall production ... if we would have gone through with the first calculation this would have been a 60 to 70 Euro game. Seriously. Robert Auerochs' first design is a mixture of various elements that captures the harbor feeling quite well (at least that's what I think). The management of the time-tokens is really the core-challange of the game. Bidding for the actions spaces is something some of you are worried about, but it really adds the needed tension and interaction. Believe me. At the secret Lookout underwater headquarter we discussed the overall look-and-feel quite a bit. But finally we decided to go with the LeHavre look. Same publisher, same theme, same illustrator ... My plan wase to re-use the illus and graphic elements but in the end only a few made it through. Right after I fell in live with Peloponnes I started to bother Bernd to let me illustrate one of his games ... and the I did Pax. 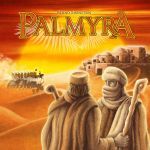 For 2013 Bernd inteded to do Pandora Titania (with Matthias Catrein I think) but decided that the game wasn't finished ... and therefore Palmyra became the Essen 2013 candidate on short notice. All he needed was an illustrator and since it wasn't that much I could jump in. The tiles of Palmyra are much more "drawn" than it's usually my stile .. it's so hard for me to not put a strong black outline around objects ;-) but the tiles would have become way too messy. This is a rather quick one because I only did the layout of the box, cards and rules. The illus by Björn are as funny and stunning as always and the game delivers a new twist in terms of how you have to sort your bean-fields. It's a stand-alone game, it will be quite cheap and – most importantly – it helps a charity project (same goes for Handler der Karibik). Now this an clear ad/commercial: Go get those 2 little card games and do something good. I tried to keep the boards for the action-spaces as functional as possible. No visual overkill. That was my first impulse when I saw the prototype and it's huge amount of action-spaces. I'm really glad that I got the support from the whole team! What we added are pictures of what you can do ... so you do not really need the rules - just look at the fields. This wasn't natural since Uwe's protos are quite text heavy (sometimes it's easier to describe something than generating a new icon). And I really tend to stick to his original design in terms of layout. Uwe plays his games sooooo often that I can build on his basic layout and be sure that it works. I'm really glad that we got through with the huge amount of components. Shaped meeples, 16 punchboards ... in the beginning I wasn't sure that it would be possible to realise an affordable/realistic prize. And this was only possible because enough of our international partners got in the cave boat with us. OK .. I think that's it for this year. I did some additional work for Náufragos (Box and the layout of the ruelset 2.0 together with my wife) and some translations stuff (don't ask me how that happened) but the new games I worked on are in this list. Edit: Uh, oh ... the second expansion for the 2 player Agricola is not completely new, but a rather fresh 2013 release. Shame on me. The rest of 2013 and 2014 are already looking good. There are some great prototypes on my desk that need a new face. So I'm really greatful that I have the chance to feed my family (yes, playing too much Agricola) by doing a job I really love. See you all (or at least some of you) in Essen!